Banking services are among the many that will be affected by the 1% VAT increase effective 1 April 2018. This comes amid rising costs for petrol, school fees and a whole range of consumables factored into the increasing cost of living. “This is a good time to assess the services you require for your personal (and business) banking needs, to shop around and see which bank has the most affordable fees for your needs , You may also check with your bank which fees can be negotiated,” she adds. 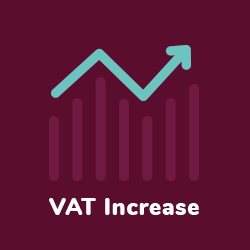 The 2018 budget speech announced the 1% increase in Value Added Tax (VAT), from 14% to 15%. Some economists have said the increase could be favourable for economic growth and improving collections for the public purse. What does this increase mean for consumers? The real impact is on consumers. For example, a family that pays a bond or rental for R7500/month, will pay an additional R75,00. In line with the practice of other financial ombudsman organisations internationally, the OBS do not have jurisdiction over complaints about a bank's general interest rate policy or schedule of fees. However, the ombud may intervene in the instance that a bank charges a customer more than the agreed or publicised rate. There are also rates such as the repayment rate for home loans, which although vary from bank to bank, cannot exceed a set legal maximum. “Banks charge a variety of fees for different types of transactions. It is in your best interests to obtain the bank’s list of charges and calculate the least expensive costs for your banking requirements. Most banks have their fees listed on their website so it’s quite easy to make comparisons,” Steyn says. Another area worth scrutiny is third party bills. The Ombuds office has been receiving an increase in complaints about suppliers’ emails being hacked, and invoices being sent to consumers for payment to account details that differ from those originally supplied Unless consumers are very diligent, they will pay the fraudster and still owe the money to the “real supplier” in terms of their contract, says the Ombud. So, scrutiny and verifying information before payments is very important, and even more so if the supplier advises you of a “change of bank account details”. “Consumers should confirm in writing (correct email address) and by phone that the invoice details are correct and raise any concerns immediately to to safeguard themselves from any loss and inconvenience,” Steyn adds.